Visit Three SoCal Attractions with the Nature Pass Combo Ticket! Still looking for things to fill up the rest of summer? Searching for staycation play ideas? or Just want to visit some of our all time favs? 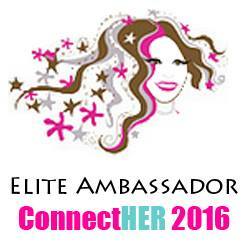 Here is a super sweet deal that covers not only fun but education too. See more than 250 animal species, many rare or endangered, at the Zoo, the Aquarium's new Vanishing Animals and Horses and Dragons exhibitions, and the Dinosaur Hall at NHM on different days with discounted combo ticket. It is now easier and more affordable to visit three L.A. County destinations with a special Nature Pass combo ticket for the Los Angeles Zoo, Aquarium of the Pacific, and Natural History Museum of Los Angeles County (NHM), which allows you to see all three attractions for $50 or less per person. All three institutions are featuring new exhibits and offer events that are included with combo ticket admission this summer. The combo ticket can be used to visit the institutions on different dates, valid for up to one year from the date of purchase, so you can pack everything into a fun-filled weekend or spread out the visits throughout the year. Those purchasing the Nature Pass combo ticket to visit this summer can explore the Zoo's vast collection of more than 1,100 animals, many rare or endangered, the Aquarium's new Vanishing Animals and Horses and Dragons exhibitions, and NHM’s Dinosaur Hall, Nature Gardens, and more. The discounted combo ticket can be purchased online on the Aquarium’s website for $50 per adult (12+), $31 per child, and $46 per senior (ages 62+) or at the ticket windows of any of the three institutions. The Los Angeles Zoo, Aquarium of the Pacific, and Natural History Museum offer insight into the importance of environmental conservation on land and in the ocean. Visitors to each institution can explore exhibits and attend presentations to learn ways to help protect the planet for the benefit of humans and animals. Arrivals at the Los Angeles Zoo in the last year include a range of babies born to Zoo residents as well as a new breeding group of four endangered Grevy’s zebras; two-endangered male Tasmanian devils, the world’s largest carnivorous marsupial; and rare male and female perenties, Australia’s largest monitor lizard, with spectacular colors and patterns covering their snake-like, elongated bodies. Visitors to the L.A. Zoo, which is one of only four zoos in the United States to house Tasmanian devils and one of only two with perenties, can enjoy a variety of daily opportunities to learn more about animals, including close-up encounters, special feedings and talks, all free with admission. 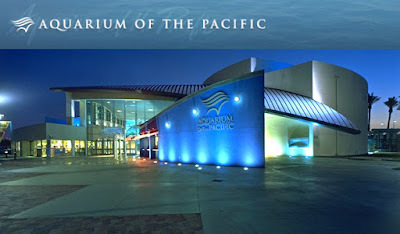 The new Vanishing Animals gallery and Horses and Dragons exhibits are now open at the Aquarium of the Pacific. Featuring about a dozen species of seahorses and seadragons and their relatives, Horses and Dragons showcases the wonder and diversity of these creatures through March 31, 2017. Visitors can see and learn more about the unusual animals in the syngnathid group, which includes the sea moth (also known as Pegasus), seahorses, seadragons, pipefish, and razorfish, through exhibit displays, a film in the Great Hall, and education programs in the Marine Life Theater. Coinciding with this opening, the Aquarium transformed its changing exhibits gallery to focus on animal extinctions and how humans can take actions now to prevent the magnitude of extinctions on land from happening in the ocean. The Vanishing Animals exhibition, also open through March 31, 2017, features about one dozen aquatic and terrestrial animal species and multimedia and interactive displays, including a new film in the Ocean Science Center. In addition, the two penguin chicks that recently hatched at the Aquarium are slated to leave their nursery and join the other penguins on exhibit in the June Keyes Penguin Habitat sometime in August. Visitors to the Natural History Museum of Los Angeles County can enjoy the general admission pass with the Nature Pass Combo Ticket. Encounter dinosaurs in the new Dinosaur Hall, including the world’s only Tyrannosaurus Rex growth series. Get a behind-the-scenes look at how scientist work on fossils in our Dino Lab. Stroll through the extensive Nature Gardens, and discover the true and surprising stories about city plants and animals in the Nature Lab. Enter the Gem and Mineral Hall to view diamonds, rubies, sapphires, and one of the largest displays of gold. Discover the grand mammal halls, Becoming Los Angeles exhibition, and more. This Fall, NHM will hold its first-ever Dino Fest on September 24 and 25, two days of all things dinosaur . Guests can meet world-renowned paleontologists from the Museum and beyond as they discuss historic and ongoing fossil discoveries from around the world; catch a glimpse of rare specimens from the Museum’s collections; dig into hands-on activities; explore amazing Dinosaur Hall with the world’s only Tyrannosaurus Rex growth series; get one last chance to see our traveling exhibition,Pterosaurs: Flight in the Age of Dinosaurs; and much more. Those who purchase the combo ticket can upgrade their experience at the zoo, museum, and aquarium. 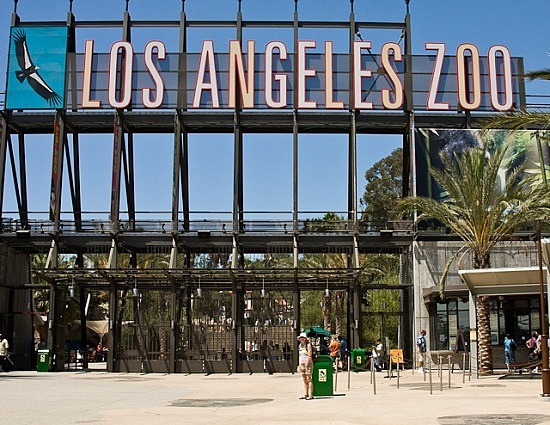 For $5, visitors to the Zoo can gain access to the new Dinosaurs Unextinct at the L.A. Zoo exhibition through October 31, 2016. At NHM, combo ticket holders can purchase entry to the new Pterosaurs: Flight in the Age of Dinosaurs exhibit, $10 for adults, $5 for children. The Aquarium is enhancing its Guest Speaker Series by adding talks with experts on animals and topics featured in its new exhibitions about animal extinctions and seahorses and seadragons. Lectures are $5 per person per lecture and free for students, teachers, and seniors (ages 62+) with advance reservations and valid photo I.D. PTEROSAURS: FLIGHT IN THE AGE OF DINOSAURS opens at NHM on July 3 and runs through October 2, 2016. This interactive traveling exhibition showcases these prehistoric reptiles that ruled the skies during the time that dinosaurs walked the land. It features the latest research of museum scientists and leading paleontologists, extremely rare pterosaur fossils, and displays about discoveries in Italy, Germany, China, the United States, the United Kingdom, and Brazil, as well as life-size models, videos, and interactive exhibits to immerse visitors in the mechanics of pterosaur flight. Several interactive exhibits help visitors see the world from a pterosaur’s-eye view. In “Fly Like a Pterosaur,” visitors can “pilot” two species of flying pterosaurs over prehistoric landscapes complete with forest, sea, and volcano in a whole-body interactive exhibit that uses motion-sensing technology. The exhibition is organized by the American Museum of Natural History (AMNH), and will underscore the vast and newly revealed variation among these ancient creatures, which ranged from the size of a sparrow to a two-seater plane, as well as how they evolved to dominate the sky millions of years ago. DINOSAURS: UNEXTINCT AT THE L.A. ZOO, an all-new exhibit produced and presented by the Greater Los Angeles Zoo Association, features a pack of 17 life-size, life-like prehistoric creatures residing in a once off-limits corner of the Zoo. For a limited time only, these animatronic dinosaurs, brought to life with electronic "brains," take visitors back in time for a colossal adventure, providing a rare chance to discover a lost world from millions upon millions of years ago while warning about the very real threat of extinction faced today by many endangered species. Among the exhibit's added features is the Fossil Dig, a stegosaurus robot with controls guests can operate to make the creature move; a climbable pachyrhinosaurus; and a free downloadable augmented reality app to access special content, including 3-D views of all the dinosaurs. The experience aims to give visitors gargantuan levels of awe and plenty of “aha”s, with facts about the prehistoric era, the featured dinosaurs, and their similarities to L.A. Zoo animals. Purchase the NATUR PASS COMBO TICKET HERE! The landmark Los Angeles Zoo and Botanical Gardens, drawing 1.75 million visitors each year, is home to a diverse collection of 1,100 animals representing 250 different species, many of which are rare or endangered. Its lush grounds on 113 acres feature the LAIR (Living Amphibians, Invertebrates, and Reptiles); Elephants of Asia; Campo Gorilla Reserve; Rainforest of the Americas, an extraordinary collection of endangered and exotic mammals, reptiles, fish and amphibians living in spaces that exemplify their natural habitat in the rainforest biosphere; a Hippo Encounter contact opportunity; Tom Mankiewicz Conservation Carousel; Chimpanzees of Mahale Mountains, home to one of the largest troops of chimpanzees in the United States; Red Ape Rain Forest, where visitors can walk among orangutans; the Winnick Family Children’s Zoo; one of the largest flocks of flamingos in any zoo in the world; a botanical collection comprising over 800 different plant species with approximately 7,000 individual plants; and much more. Accredited by the Association of Zoos and Aquariums (AZA), whose members meet rigorous professional standards for animal welfare, the Zoo has achieved renown as an international leader in the preservation of endangered species and a conservation center for the care and study of wildlife. The Zoo, open daily except Christmas Day from 10:00 a.m. to 5:00 p.m., is located in Griffith Park. For more information, visit lazoo.org or call (323) 644-4200. The Aquarium of the Pacific, a nonprofit AZA-accredited institution, is dedicated to conserving nature and its resources by building relationships among people. Home to over 11,000 animals and visited by 1.6 million people annually, the Aquarium invites visitors to explore the waters of Southern California and Baja and the Northern and Tropical Pacific. The Aquarium features its interactive Shark Lagoon and Lorikeet Forest aviary, June Keyes Penguin Habitat, hands-on discovery labs, the Molina Animal Care Center, Ocean Science Center, and new Horses and Dragons and Vanishing Animals exhibits. Beyond its exhibits, the Aquarium offers educational programs for people of all ages, from hands-on activities to lectures by leading scientists. It is a community gathering place where diverse cultures and the arts are celebrated and important topics facing our planet and our ocean are explored by scientists, policymakers, and stakeholders in the search for sustainable solutions. The Aquarium is open daily from 9:00 a.m. to 6:00 p.m. and is closed on December 25 and during the Grand Prix for three days in April. For information, visit aquariumofpacific.org or call (562) 590-3100. The Natural History Museum of Los Angeles County is located at 900 Exposition Blvd., Los Angeles. It is open daily 9:30 a.m. to 5:00 p.m. The Museum was the first dedicated museum building in Los Angeles, opening its doors in 1913. It has amassed one of the world’s most extensive and valuable collections of natural and cultural history—with more than 35 million objects, some as old as 4.5 billion years. The Natural History Family of Museums includes NHM, the La Brea Tar Pits and Museum (Hancock Park/Mid-Wilshire), and the William S. Hart Museum (Newhall, California). The Family of Museums serves more than one million families and visitors annually, and is a national leader in research, exhibitions and education. For more information, visit nhm.org or call (213) 763-DINO.